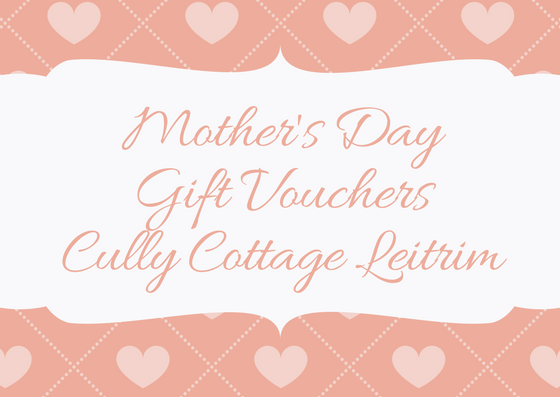 Mother’s Day is Sunday 11th March 2018 and if you’re not sure what to buy Mum how about a voucher for a break here at Cully Cottage in beautiful County Leitrim? We offer gift vouchers in denominations of your choice which can be used towards a break away with us here, the ideal spot for couples, groups of friends or family. Get in touch with us at 0868697022 if you’d like to arrange a voucher, we’ll send it to you by email with a receipt so you’ll have it in plenty of time for Sunday.